I tried all sorts of settings including flash but could not get the a6000 to perceive the wing bars as anything but bright yellow. I wonder if any one else has encountered such a color perception limitation with their camera. 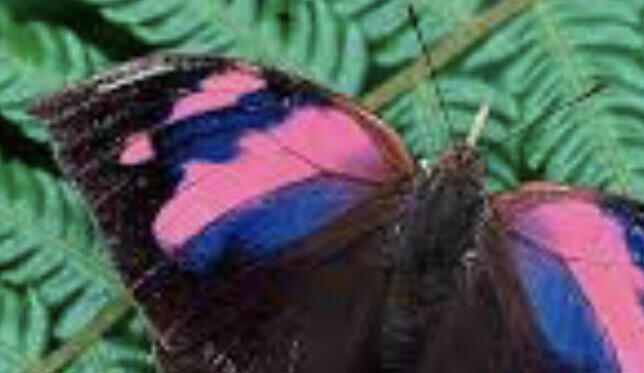 Is it possible that the butterfly is using an polarized iridescence? Do you have a captive specimen you can photograph again with a polarizing filter? I think that at the right angle the normal color should be evident! We need Dr Klaus Schmitt to weigh in here! This is a wonderful new area to explore! Look at this and this too, discussing polarized luminescence. ....... and butterflies under the forest canopy. Polarized light perception can allow creatures to signal or to break up color camouflage patterns by segmenting an object into areas of different polarization! It’s hard to prove that this false color is for signalling, as we have to see some behavior that is adaptive, survival, mating, confusing predators and the like and this is a very new science, sincecas humans we cannot detect polarized light of different qualities as we just respond to the flux of energy and the wavelength but not whether the wave moves forward in and advancing spiral of vibration or from side to side. We just can recognize intensity and color! On the other hand this could be just structural like the photonics crystals of peacock feather, where colors are lost when feathers are immersed in water! If it was due to pigment we would still see the colors! In some plants there are both pigments and also structural colors that can hide the pigments. In this case, since we can see the purple, it should be that that is either the pigment or a structural color. How the camera sensor records polarized light as yellow baffles me! Interesting links thank you. There is also a good book on the subject: Seven Deadly Colours : The Genius of Nature's Palette and How It Eluded Darwin by Andrew Parker. Unfortunately I did not have a polarizing filter to try and I didn't kill the animal to be able to try many experiments but the effect certainly shocked the dickens out of me. The camera is sensitive to both UV and infrared inspitevof cutoff filters. So this could be leakage as Dr. Klaus Schmitt has reminded me of the purple color in the early versions of the first Leica Digital M camera! 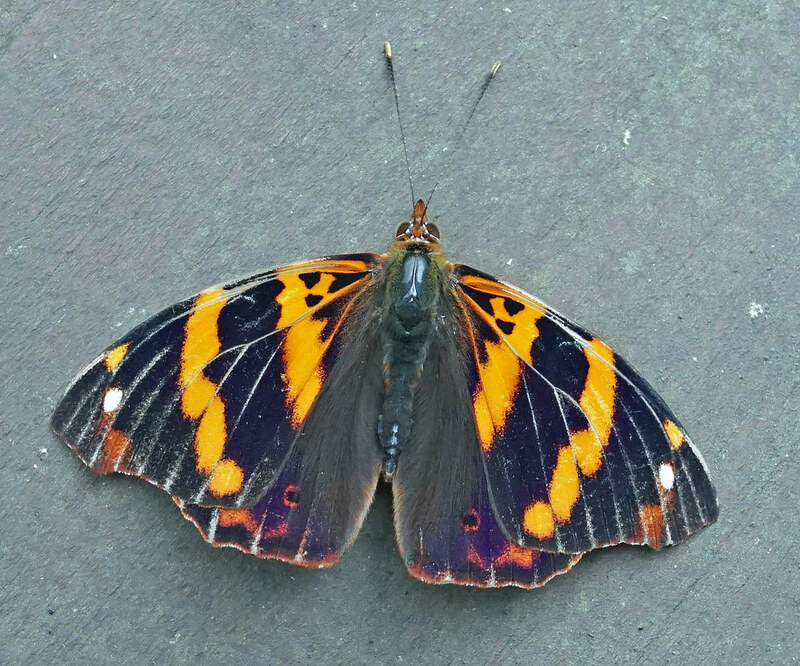 I can look to see if I can buy any butterfly specimens to photograph myself! Yes I would love to get to the bottom of this. Something similar happened once before but the correct color came through when I used flash. Quite the conundrum. Not knowing the response of the three sensor "channels", I could still imagine that the presence of UV or IR in the light from the subject could lead to the recording of "unexpected" colors in the delivered image. I wonder if sensors might become confused by some specific polarized states of light, as having a seemingly altered recognition of wavelength than similar intensity light rays of that color, randomly orientated in any of the possible random angles as the light hits the sensor. If all the light was rotated to some common fixed angle, I could imagine that it might behave differently, in being misinterpreted as a photon of a different energy. The deposition of energy from a photon might be altered by some odd minor chemical added to the glass, in the same kind of way as special molecules that have unique spin orbits acts as enhancing agents in magnetic resonance. The physics is beyond me! But I do suspect some reaction of that general type. Or it could be that the polarized light causes one of the layers of filters or lenses or the silicon itself to fluoresce, yellow. That is now my last and best best guess! But I am more flummoxed than enlightened!